Congratulations to Noah Bendix-Balgley, 27, who recently signed a three-year contract as concertmaster of the Pittsburgh Symphony Orchestra, where he will begin in September. As it turns out, he is not the first in his family to play in this orchestra; his great-grandfather, Samuel J. Leventhal, played violin in the Pittsburgh Symphony from 1900 to 1904, under Music Director Victor Herbert, according to the PSO blog. A native of Asheville, N.C., Noah earned his Bachelor of Music degree at the Indiana University Jacobs School of Music, studying with Mauricio Fuks; and he earned a postgraduate Meisterklasse diploma for violin at the Hochschule für Musik und Theater Munich, studying with Professor Christoph Poppen. He is a Laureate of the 2009 Queen Elisabeth Competition in Brussels as well as first-prize winner at the Vibrarte International Music Competition in Paris, in May 2011. 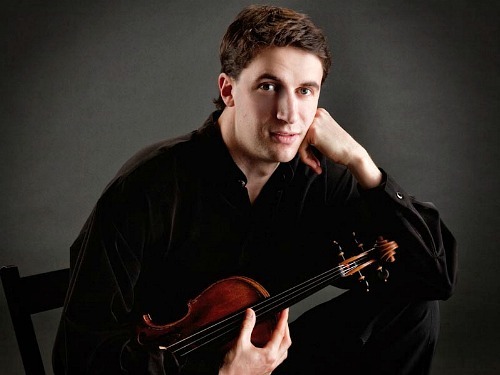 Noah replaces Andrés Cárdenes, who retired in 2010 after 21 years as concertmaster of the Pittsburgh Symphony. Here is the story from the Pittsburgh Post-Gazette. Violinist William Fedkenheuer was named second violinist of the Miró Quartet, replacing Sandy Yamomoto, who retired to spend more time with her young children. He will begin with the award-winning quartet this fall. Other members of the quartet are first violinist Daniel Ching, violist John Largess and cellist Joshua Gindele. Fedkenheuer has a Bachelor of Music degree from Rice University’s Shepherd School of Music, where he studied with Kathleen Winkler; and he did graduate studies with Miriam Fried at Indiana University. Most recently, Fedkenheuer was first violinist of the Fry Street Quartet and was on the teaching faculty of the Caine College of the Arts at Utah State University. With his appointment to the Miró Quartet, he will join the faculty of the University of Texas at Austin Butler School of Music, where the Miró Quartet has been in residence since 2003. Founder of the Jascha Heifetz Society Claire Hodgkins died in June after a long illness. Claire was the former assistant to Jascha Heifetz at the University of Southern California and teacher to many, having served on the faculty of five Southern California universities, including USC. The Jascha Heifetz Society, which will continue under the directorship of co-founder Sherry Kloss, just released a four-DVD set of live performances, including Ruggero Ricci, (last concert); Sherry Kloss; Erick Friedman; and Aaron Rosand. The DVD set can be purchased through Sherry Kloss's website.